Physical therapy (PT), mostly known as Physiotherapy, is a primary care specialty in western medicine that, by using mechanical force and movements [Bio-mechanics or Kinesiology], Manual therapy, exercise therapy, electrotherapy and various physical therapies who practice evidence based treatments, remediates impairments and promotes mobility, function, and quality of life through examination, diagnosis, prognosis, and physical intervention. It is performed by physical therapists (known as physiotherapists). 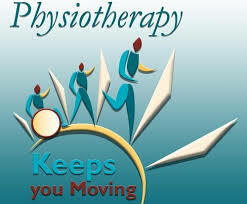 DEFINITION OF PHYSIOTHERAPY ACCORDING TO W.H.O. Physiotherapists assess, plan and implement rehabilitative programs that improve or restore human motor functions, maximize movement ability, relieve pain syndromes, and treat or prevent physical challenges associated with injuries, diseases and other impairments. Orthopedic physical therapy treats musculoskeletal injuries, involving the muscles, bones, ligaments, fascias, and tendons. It is suitable for medical conditions such as fractures, sprains, tendonitis, bursitis, chronic medical problems, and rehabilitation or recovery from orthopedic surgery. Geriatric physical therapy can help older patients who develop conditions that affect their mobility and physical function, including arthritis, osteoporosis, Alzheimer’s disease, hip and joint replacement, balance disorders, and incontinence. Neurological physical therapy can help people with neurological disorders and conditions such as Alzheimer’s disease, brain injury, cerebral palsy, multiple sclerosis, Parkinson’s disease, spinal cord injury, and stroke. Cardiovascular and pulmonary rehabilitation can benefit people affected by some cardiopulmonary conditions and surgical procedures. Vestibular therapy aims to treat balance problems that can result from inner ear conditions. 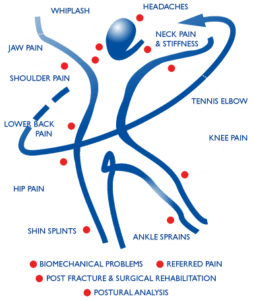 Vestibular physical therapy involves a number of exercises and manual techniques. Don’t let pain keep you for life. Enriching lives through physical independence. Helping people take steps towards independence. It’s about life… As you remember it. Moving you to a better health. The best hour of your day, every day. Myth #1: I need a referral to see a physical therapist. Fact: A recent survey by the American Physical Therapy Association (APTA) revealed 70% of people think a referral or prescription is required for evaluation by a physical therapist. However, a physician’s referral is not required in order to be evaluated by a physical therapist. Myth #2: Physical therapy is painful. Fact: Physical therapists seek to minimize your pain and discomfort—including chronic or long-term pain. They work within your pain threshold to help you heal, and restore movement and function. The survey found that although 71% of people who have never visited a physical therapist think physical therapy is painful, that number significantly decreases among patients who have seen a physical therapist in the past. Myth #3: Physical therapy is only for injuries and accidents. Myth #4: Any health care professional can perform physical therapy. Myth #5: Physical therapy isn’t covered by insurance. 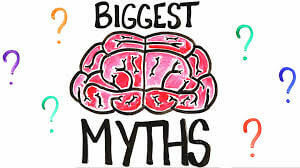 Myth #6: Surgery is my only option. Myth #7: I can do physical therapy myself.